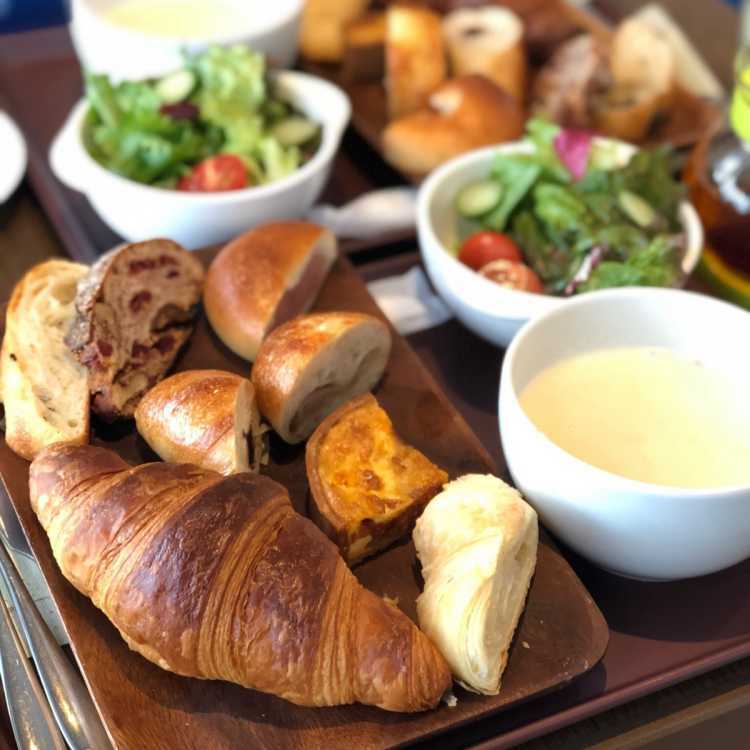 A brunch set with one croissant and various small breads. Soup, salad and drink are also served together. What's more, you can eat bread as many as you want. Another bread was baked again before it offered to me, I was very satisfied with the brunch.